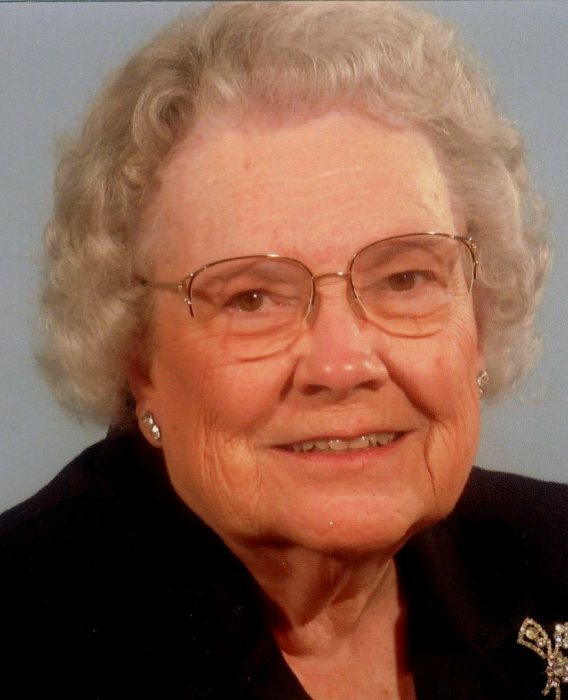 Jean Ruth Mathieu, 100, of Bridgman, passed away Sunday, February 3, 2019 at Caretel Inns of Lakeland, St. Joseph. Jean was born in Hartford, MI to Jay and Adeline “Addy” Johnson on March 13, 1918. She grew up on her father’s fruit farm located just south of Hartford, MI with her step sister Maxine and brother Charles “CH” Johnson. Charles and Jean shared an especially close relationship. During the Depression years, she attended Hartford High School, Class of 1936. After graduation, she moved to Kalamazoo and attended business college. Moving back home she held various office jobs in the Twin Cities. She met Craig Ankli Mathieu of Bridgman and they were married on May 29, 1941. Later that year they bought a home in Bridgman which she occupied for the rest of her life. They moved into their new home on Dec 7,1941. It was a happy day until evening when friends, Bert and Joyce Groh came over and informed them of the attack on Pearl Harbor. Jean continued to work in the Twin Cities during WWII. In the early summer of 1944, Jean received some tragic news, that her brother First Lieutenant Charles“CH” Johnson was killed in action near Anzio, Italy. It was a very sad time for the family as he would never return home. His remains are buried in an American military cemetery in Nettuno, Italy, just south of Rome. In May of 1951 she gave birth to her only child, son Kevin. She became a homemaker during the 50’s and 60’s. She was active in the community and a member of several women’s organizations. After son Kevin went off to college, Jean worked part time at the Bridgman High School superintendent’s office. Jean's husband Craig, passed in November of 1989. She continued have an active life in the 1990’s and a highlight was taking her first flight overseas with a trip to Ireland. She also traveled to New Hampshire by train and visited the town where her paternalgrandfather lived in the early 1800’s. Jean maintained her independence into the new millenieum and even drove her car until she was 96 years of age. She became a member of the Woodland Shores Baptist Church and had many friends there with her involvement in church activities. Son Kevin, who was living in Arizona for over a decade, returned to Bridgman in the summer of 2014 to care for her in her last years. She fell short of her 101st birthday by 38 days. A very long life. May she rest in peace. Preceding her in death were her parents, stepsister Maxine, brother Charles and husband Craig, She is survived by a special friend, Lotte Kalden of the Netherlands and her son, Kevin.